Sprint's network unfortunately sticks customers with the worst combination of variables, giving them both slower speeds than competitors while having less coverage. This situation is slowly changing, with the company rolling out faster spectrum to markets across the country that typically don't get first priority. The latest rollout brings 4G LTE to pockets scattered all throughout the country, including Lexington, Kentucky; Pensacola, Florida; and Farmington, Missouri - the perfect name for the type of locations where Sprint likes to introduce LTE. There you have it. 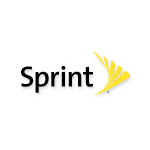 This list brings the total number of Sprint markets with 4G LTE availability up to 230. If your location still hasn't made the list, you might want to move out to smaller town. I hear Sprint coverage is great out there.